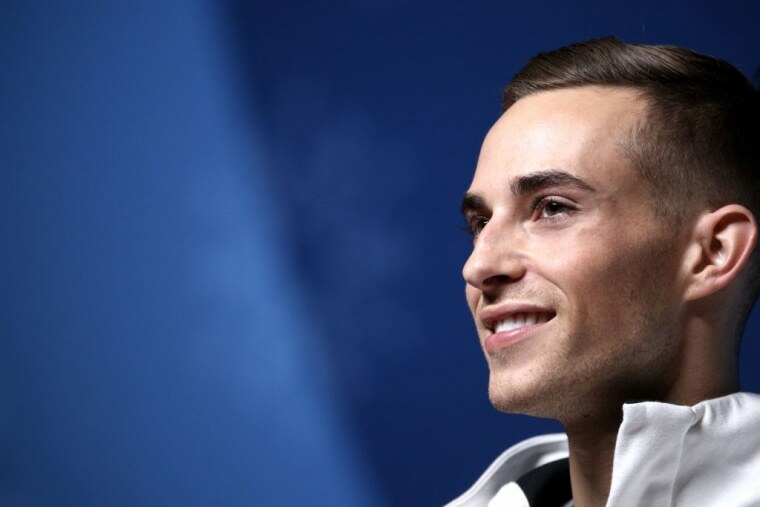 For most athletes, winning an Olympic medal would be enough to define their career, but for figure skater Adam Rippon, it’s just the beginning. It’s easy to forget that figure skater Adam Rippon did not win a gold medal in Pyeongchang. His final skate to “O” by Coldplay was executed flawlessly but did not feature the stunts necessary to nab a medal. This was apparent during his set. Yet viewers were, in the words of Johnny Weir, enraptured by his "spellbinding" routine. Rippon performed on the world stage last month, winning a bronze medal in the figure skating team event. For many athletes, a moment like that, the culmination of years of practice and diligent work, would be enough to define a career. But in Rippon’s case, his moment had just begun. When Rippon says “everyone,” he is hardly exaggerating. In the weeks since the Winter Olympics concluded, the openly gay 28-year-old has become something of a cultural force, particularly in the LGBTQ world. His witty one-liners, paired with his graciousness in interviews, won over the hearts of many, including celebrities like Reese Witherspoon, Tyra Banks and Britney Spears. "I used to not like the person that I was ... Which is crazy, because I’m so cool." Rippon’s infectious personality became such a big part of the Olympics that he was offered a job as an NBC correspondent, which he ultimately declined. For many LGBTQ people, this was perhaps the first time they had seen someone as flamboyant and unabashedly gay as Rippon be accepted to such a high degree, and Rippon said he hopes to continue inspiring people. Rippon has found himself in the role of LGBTQ advocate not only because he is out and gay, but also because he hasn’t shied away from politics. Prior to competing, he made headlines by publicly clashing with Vice President Mike Pence, who was selected to represent the United States in the official Olympic delegation at Pyeongchang. Rippon said he would rather not meet with Mike Pence, due to his alleged support of conversion therapy, a contentious practice that claims to be able to change someone’s sexual orientation. Now, however, Rippon is more open to a meeting, albeit with some conditions. He said he didn’t want to meet with Pence before the games because it would have been a distraction. Rippon added, however, that he would like to bring people with him who are most affected by the Trump administration’s policies. The future isn’t clear for Rippon, who is in the midst of a whirlwind press tour that has landed him on every couch from “Ellen” to “Watch What Happens Live” with Andy Cohen. At the moment, he is spearheading a campaign with LGBTQ advocacy group GLAAD on a youth engagement program. “GLAAD is helping get all of these young kids get together, and we give them the tools to go back to their communities and give back and be role models, be ambassadors, be leaders for their communities,” he said. Rippon has played coy with any grand plans he might have ahead of him. Perhaps he doesn’t have any, and perhaps that’s part and parcel to why so many people, LGBTQ or not, find him easy to relate to. He’s an authentic, kind, funny person, who is also gay, and also an Olympian. As for his present popularity, Rippon said he is trying not to think about it too much. But for now, he has our attention. People continue to watch, spellbound.